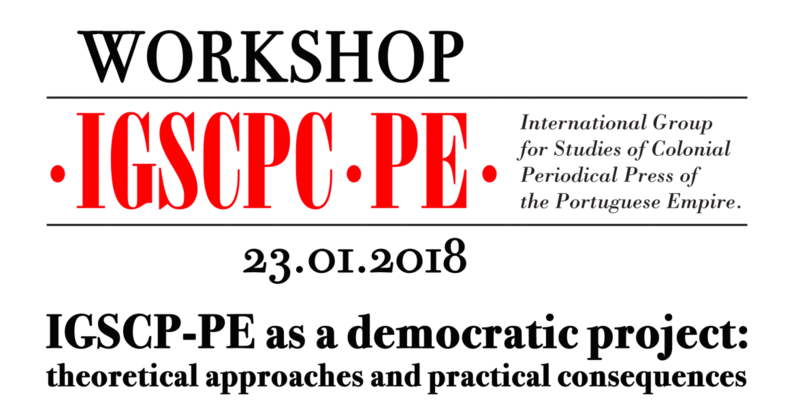 Following the May Congress ‘Politics and Culture in the Colonial Periodical Press‘, the International Group for Studies of Colonial Periodical Press of the Portuguese Empire (IGSCPC-PE) is organising the seminar “IGSCPC-PE as a democratic project: theoretical approaches and practical consequences” on the 23rd of January, in Goa. This seminar proposes a large debate about the theoretical approaches of the field of studies of colonial periodical press, evolving researchers from different territories and countries developing this kind of studies. The seminar is conceived for researchers, has free admission and will be held in Fundação Oriente, Fontainhas, Panaji. The Centre for International Studies is one of the partners who founded this International Group of Studies and participates in the Group’s scientific activities. ← A União Africana: Que Pan-Africanismo e que fronteiras terá África no fim do século?